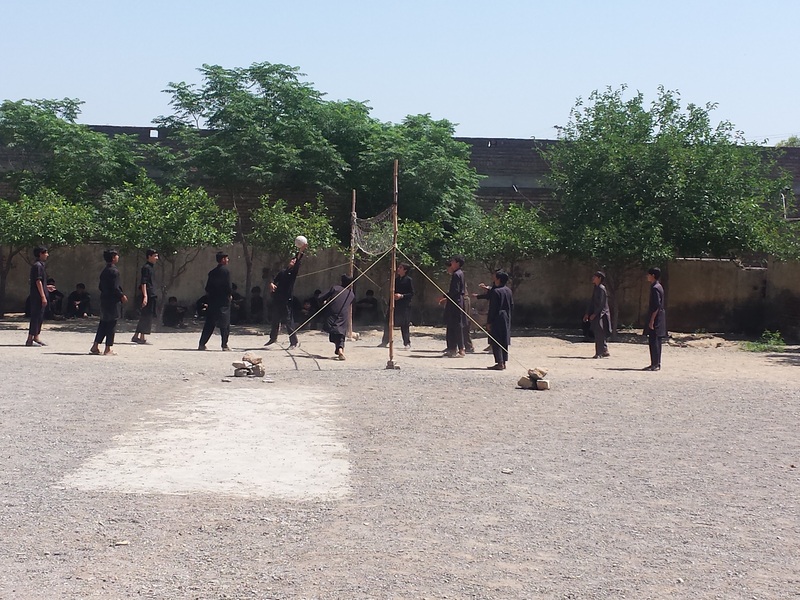 PESHAWAR -- Residents of the Federally Administered Tribal Areas (FATA) are enjoying sports activities after military operations cleared the area of Taliban militants and established peace. "In the past, our people joined Taliban militants because they lacked sports and other recreational activities," said Rafiq Ahmed, 20, a volleyball player and resident of Jamrud Tehsil, Khyber Agency. "Now, they will be playing [sports] and will remain busy in healthy activities." "People are jubilant over the construction of a stadium in our area," he told Pakistan Forward, referring to a facility that rose in Landi Kotal, Khyber Agency. "Our dream has come true as we will be able to play all kinds of sports in our own area," he said. 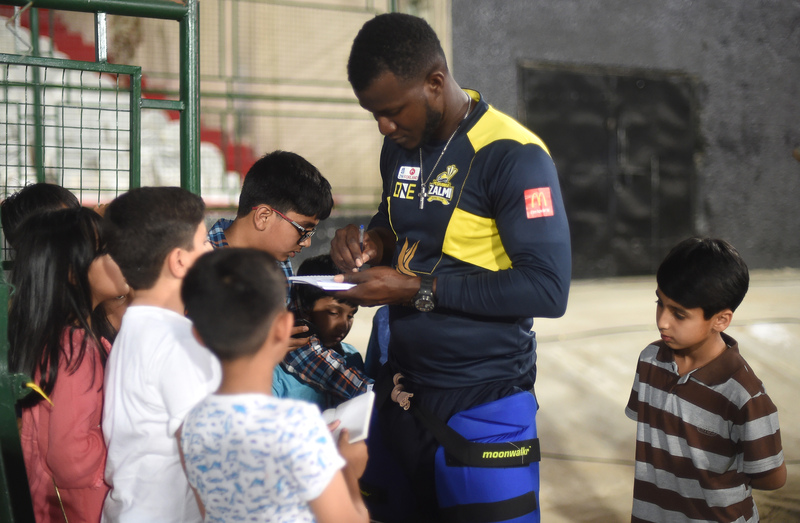 "Previously, we used to travel to Peshawar to take part in tournaments." "We need sports to do away with terrorism," he added. Youth are the future builders of Pakistan and their proper education and training are essential, Khyber Pakhtunkhwa Governor Iqbal Zafar Jhagra said at the stadium on December 21. He was addressing participants of the Khyber Peace Games-2016. "The conduct of the Khyber Peace Games-2016 is a pleasant development which indicates that violence has become a story of the past," a statement quoting the governor said. "Sports are important to engage youngsters in healthy activities and to defeat terrorism in all forms and manifestations." The governor, whose bailiwick includes FATA, directed the political administration to promote sports and pledged to provide funding for sports in all seven districts of FATA. To date, he said, the local government is spending Rs. 1 billion (US $10 million) to construct sports facilities in FATA. In November, former Chief of Army Staff Gen. Raheel Sharif inaugurated a new cricket stadium in Khyber Agency along with cricketer Shahid Afridi. "This is a major and timely step to safeguard youths against falling into the hands of militants," Sharif told participants at the ceremony. "We have been able to evict militants as a result of military operations, and now we need to create a good environment for the people to make progress." "It is our prime responsibility to build more sports arenas and to defeat violence through sports," Afridi said at the same event. "We are deeply interested in sports for the development and prosperity of the militancy-stricken area," said 16-year-old Qaisar Afridi of Khyber Agency, who won a gold medal for judo in the National Games 2016. The games took place last October in Lahore and Faisalabad. "Excessive militancy has been the major obstacle in the way of sports and entertainment activities, but the Pakistan Army did its job of clearing the area," he told Pakistan Forward. "Now it's up to us to start healthy activities." Shahid Shinwari, president of the FATA Olympic Association, expressed his delight over the return of peace and the government's attention to the development of sports. Over the past eight years, he said, the presence of the Taliban meant very few and only small sporting activities in FATA. Taliban attacks on sporting events and schools made the public wary of gathering in large crowds, he said. Now, though, the public is eager to participate in sports because of the prevailing peace, he said. "The past year has been very fruitful for promotion of sports activities in FATA," he told Pakistan Forward. "We have been holding tournaments in which people are actively participating." "We praise the army for providing sports activities to our people," he said. Muhammad Jabbar, a sports promoter in Bajaur Agency, recalled how he and other promoters organised a cricket tournament in August. More than 10,000 spectators flocked to the five-day-long event, he said. "Three years ago, youths remained confined to their homes and stadiums were deserted," he told Pakistan Forward. "Gone are the days when militancy swept through FATA like wildfire. Now all kinds of games are in full swing." The Pakistani government has approved construction of a stadium in the Shah Kas area, Khyber Agency, to host competitions among all districts, FATA Sports Director Ayaz Khan said. "It will provide facilities for playing cricket, football, volleyball, basketball, squash, tennis, badminton and hockey -- besides having a swimming pool, gym, table tennis and martial arts facilities," he told Pakistan Forward, adding that the new facility will also have a boys' hostel (dormitory), mosque, cafeteria and media centre. FATA has been producing athletes of international standards in all disciplines, he said. 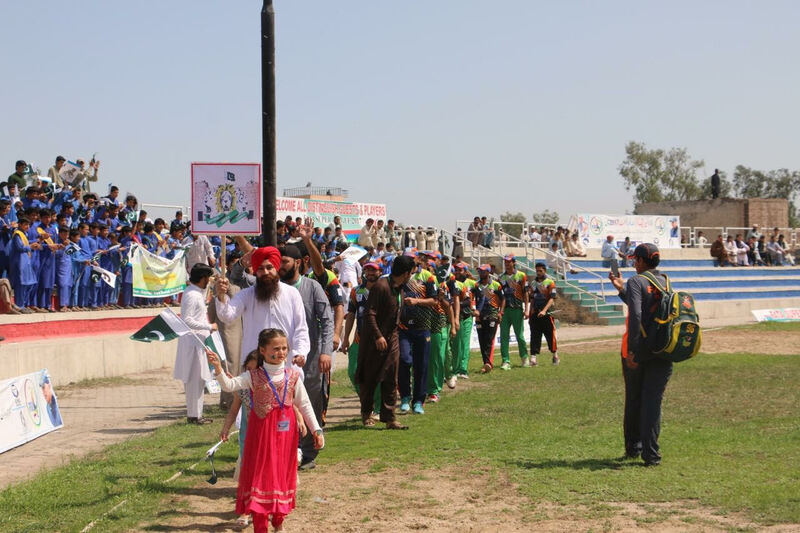 In June, 10,000 athletes participated in a sports festival organised by the FATA Sports Directorate. To further encourage youth involvement in healthy activities, he said, FATA created a policy to provide sporting grounds at every educational institution, including primary schools. Cricketer Mahmood Khan said he recently returned to South Waziristan from Bannu, where the army has built sporting arenas. "We are very happy to play games in our own areas," he told Pakistan Forward. "Before the military operation against the Taliban, it was impossible to play because they considered it against Islam." The public is full of praise for the army after it drove out militants from the area, he said. Government agencies and NGOs are introducing training sessions, awareness campaigns and cultural and sports events to promote peace and development. The policy requires all public and private schools to provide sports activities and facilities for students. The formation of the first ever Twenty20 Super League indicates the end of militancy in the region, say cricket fans and sports organisers.